ENGLAND footballer Raheem Sterling is reportedly set to buy a stunning new six-bed Spanish villa. 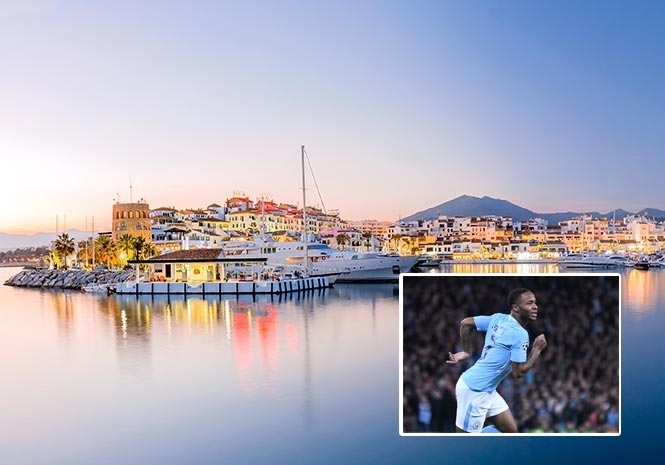 The Manchester City star is believed to be paying around €5.45 million for the luxury Marbella pad, which comes complete with a cinema room, pool and wine cellar. Located close to the beach at Puerto Banus, the area is a haunt for millionaires – and the 23-year-old is keen to add to his property portfolio there, according to reports. The villa’s description says: “It offers open plan living that flows effortlessly between beautifully designed interior and exterior spaces, each filled with bespoke furniture, commissioned exclusively for the property, giving it a modern and highly unique look. “The ground floor entrance leads onto a light, open plan living and dining space, complete with a state-of-the-art custom kitchen. “Sliding glass windows give access to the garden with its covered terrace and bespoke zero-edge swimming pool area. Sterling already lives in a £3 million, five-acre mansion in Cheshire with girlfriend Paige Milian and their one-year-old son, Thiago. He signed for City for £49 million from Liverpool and earns roughly £200,000 a week. The attacking midfielder, 23, has been in superb form this season, netting 14 times in the Premier League to make him the division’s fourth top scorer. He also has four assists. But now he wants a holiday home to visit when he’s not playing. He has visited the area twice already, according to British media. The description continues: “The villa boasts a stylish outdoor living area. In addition, the ground floor also has a double bedroom with en-suite bathroom leading out to a private terrace garden area. “The first floor features a magnificent master bedroom, and a truly sensational en-suite bathroom. “There are a further two bedrooms with bathroom on the first floor and access to two large sun terraces looking over the pool and gardens. “The basement level, benefiting from independent access and floor to ceiling natural light, is in excess of 400m2. “This incredible space has purposefully been left partially-finished, and can be designed for bedroom and bathroom accommodation, as well as multi-entertainment space, cinema room, wine cellar or gym offering a unique turnkey opportunity. “Exquisitely finished throughout with a painstaking attention to detail, the villa has exceptional fixtures, fittings and facilities, giving you the opportunity to experience modern Marbella living at its very best”. Sterling bought his mother a multi-million pound home a couple of years ago. 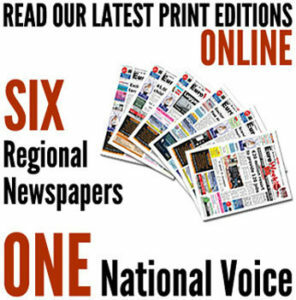 The property – including a collection of pictures – is listed on the Rightmove website.